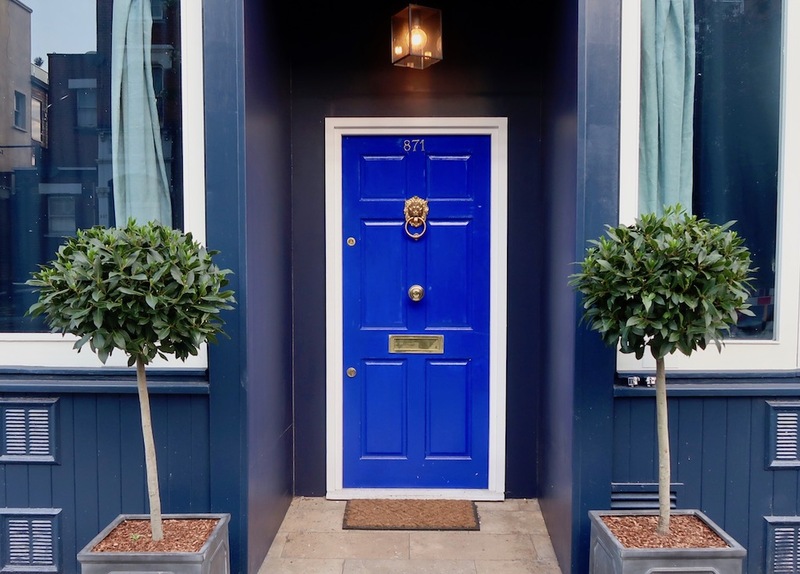 For those of you in the know and who may have already enjoyed an infamous night out behind The Little Yellow Door in Notting Hill Gate, it will come as no surprise that A Little Blue Door has popped up in Fulham. 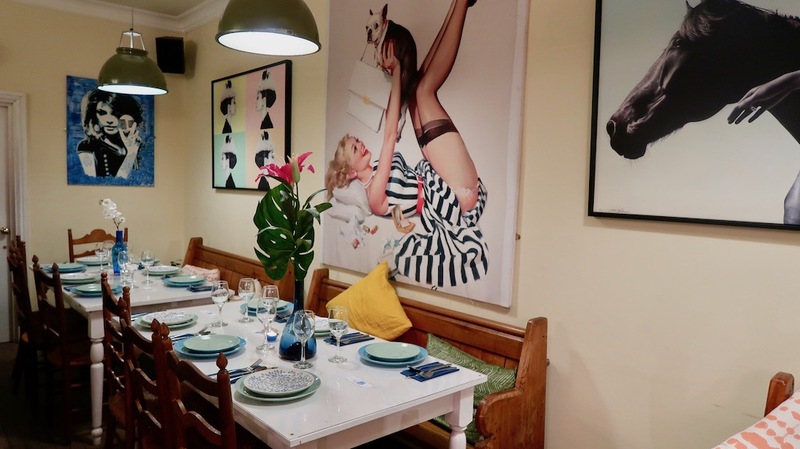 However I was a complete novice, so I was rather excited to be invited for a fun night out dining with the ‘flatmates’ behind The Little Blue Door (TLBD). 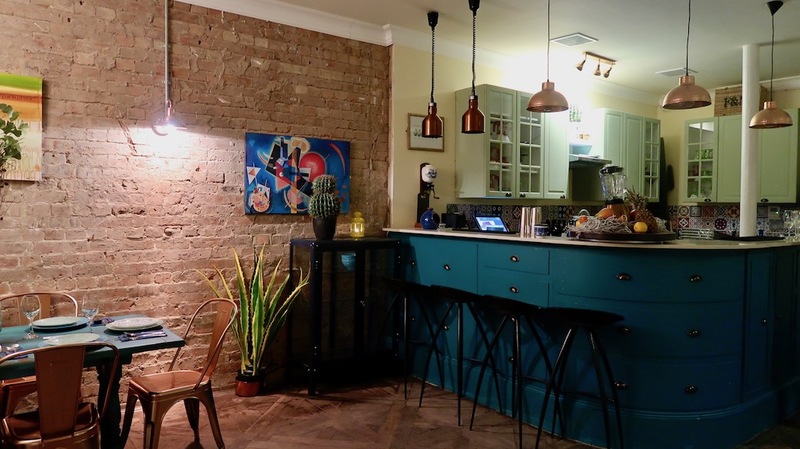 The Little Yellow Door was the idea of ‘flatmates” Kamran and Jamie who wanted to create an unpretentious, intimate place, which hosted dinner parties and house parties in a space which felt like home. 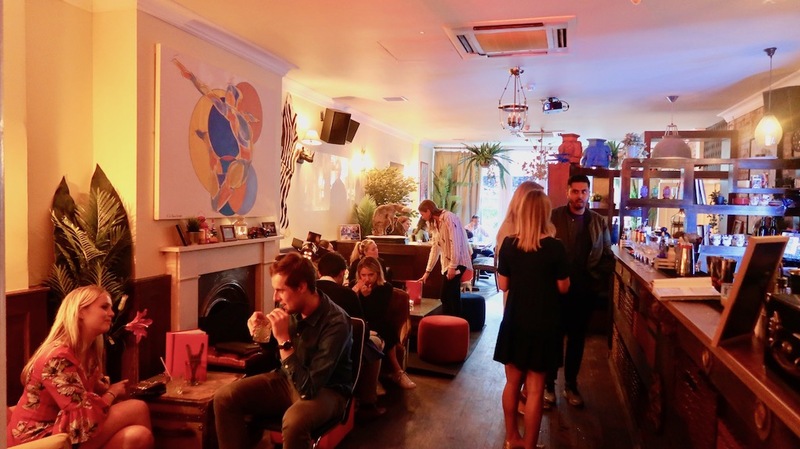 It originally opened as a pop-up neighbourhood restaurant in Notting Hill Gate and was due to run for 3 months, but it was such a runaway success that it lasted for three years. This time ‘Flatmates’ Kamran and Jamie have taken their inspirational idea, into a more grown up form in Chelsea, hence the blue door, in what feels like the ground floor of someone’s house. Cleverly they have created a home from home space, with living room area (and a bar), kitchen diner, study and even a utility room. Regular members get their own personalised mug and even a key to the door! 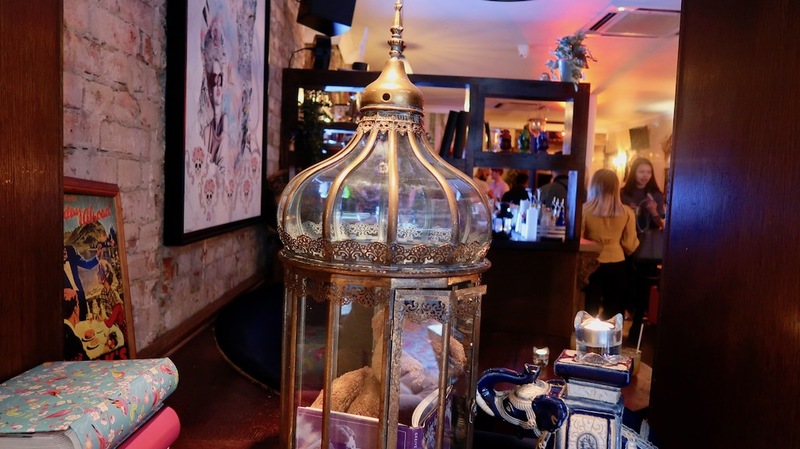 On my visit, they had only been open a couple of weeks, but the atmosphere was already buzzing with couples and groups of friends who were seated informally on the sofas around the tables enjoying the laid back friendly atmosphere. After kicking off the evening with a rum-based cocktail, (which I was told was a secret Blue Door recipe) in the living room, we were taken through to the dining room, the walls decorated with an array of art by local artists and friends of the ‘flatmates’, also available to buy. Jamie explained that it was part of their ethos to support creative talent. 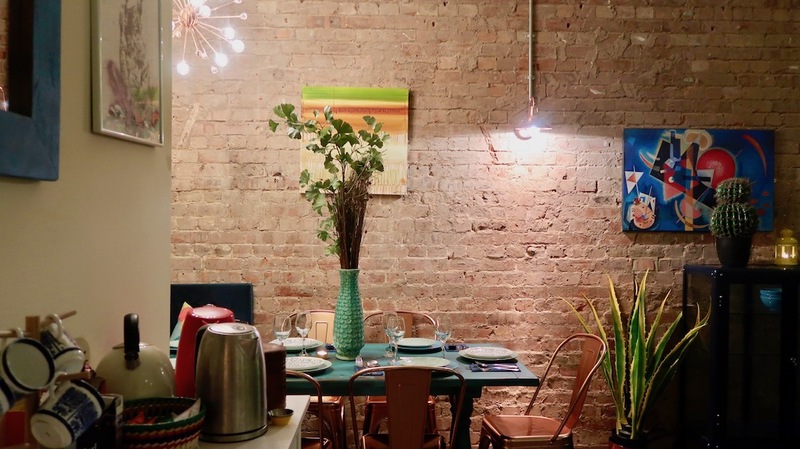 Supper clubs take place on Friday and Saturday nights and cost £30 for a three-course dinner and a welcome drink. But they also offer an all-day Sunday lunch, with the roast fresh on the hour throughout the day. The idea is less formal than traditional dining, you are seated around shared tables and the food is served family style where you all help yourselves or serve your friends and neighbours. 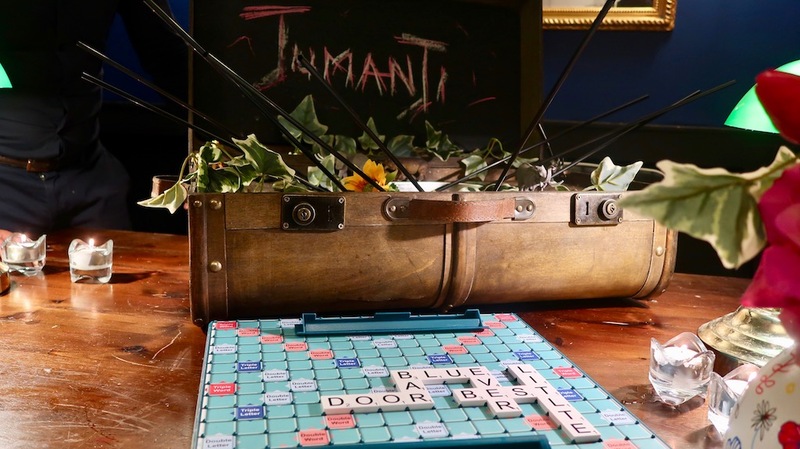 Jamie and Kamran make great hosts and are wonderfully enthusiastic about their venture; they try and not take themselves too seriously and have a lot of fun coming up with new and inventive ideas. 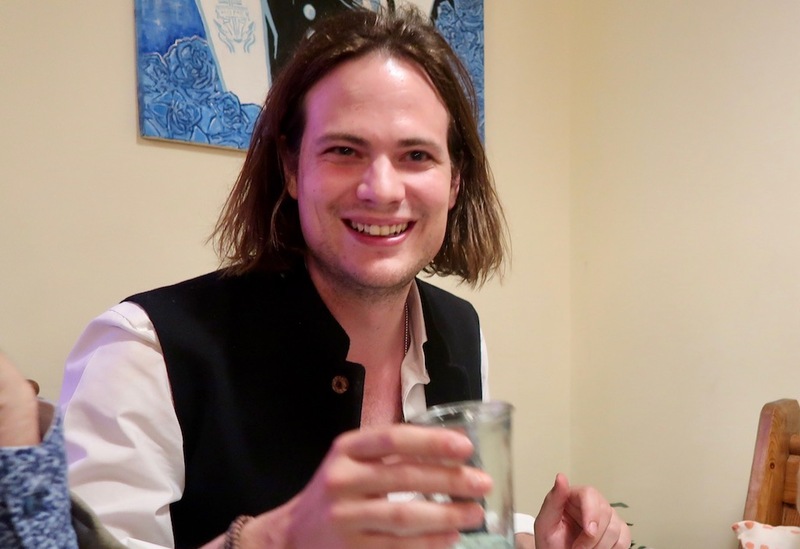 The charming Jamie sat at the head of our table where he told us all about how their idea came about and shared his passions. 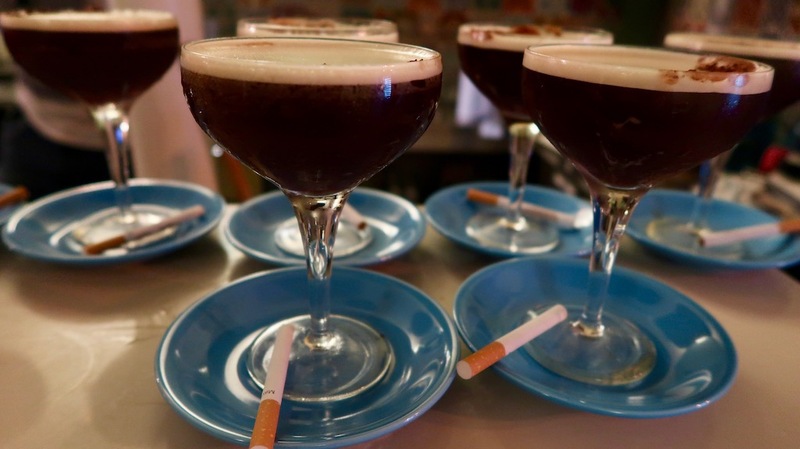 We were offered some great novelty cocktails including a ‘Kill Bill’ – a martini with lemon curd and thyme, and an Espresso Martini served with a cigarette on the side… I was almost tempted to take up smoking again, but I resisted! Our dinner was American East coast themed. 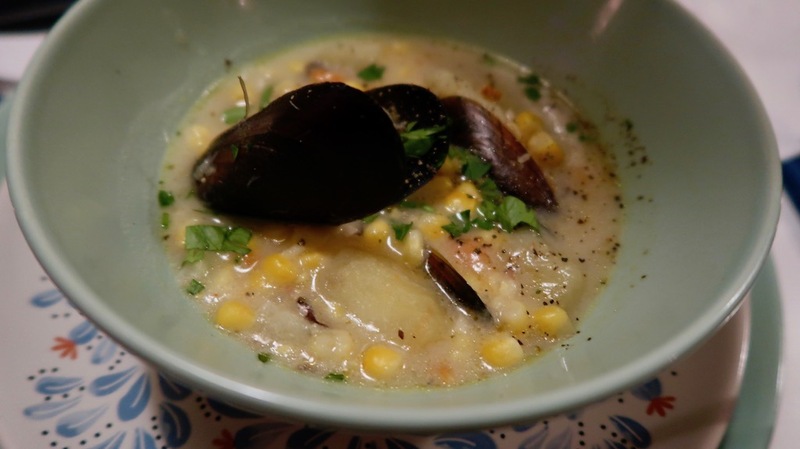 We started with wonderfully full flavoured New England Style Seafood Chowder. 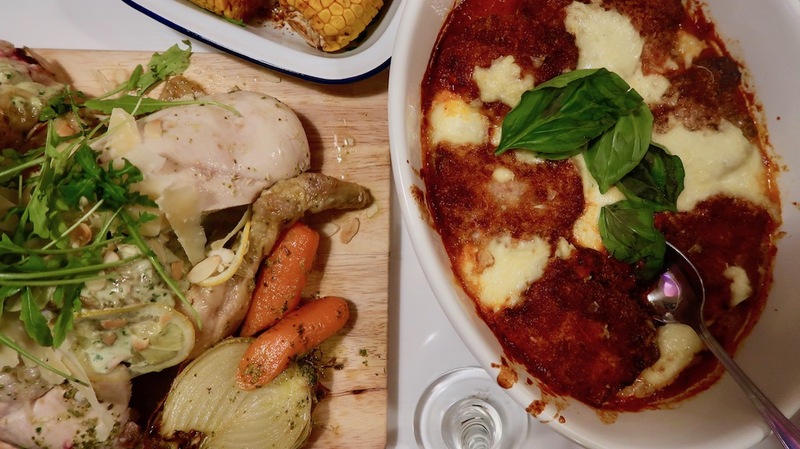 The great American feast continued with a succulent Roast Chicken Caesar Style and a tasty NYC Chicken Parmigiana while my veggie friend enjoyed an Aubergine Parmigiana. 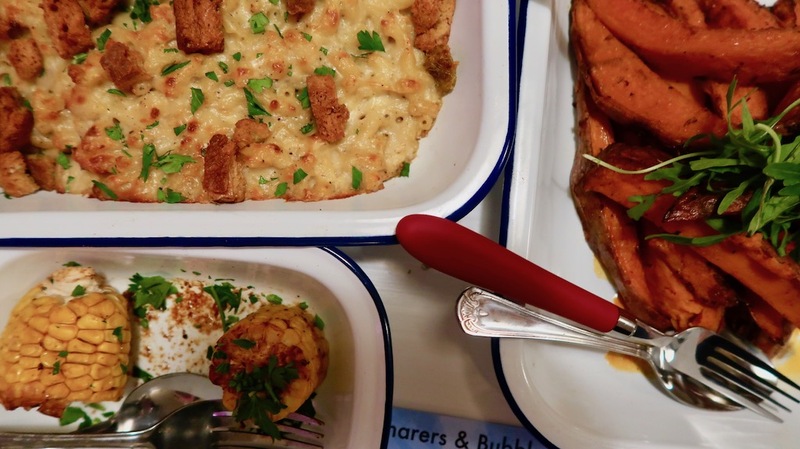 Everyone’s favourite was the Truffle Mac ‘n’ Cheese which was cooked to perfection with a fabulous added crunchy topping, served with creamed spinach, delicious sweet potato wedges, and smoked chilli glazed corn on the cob. 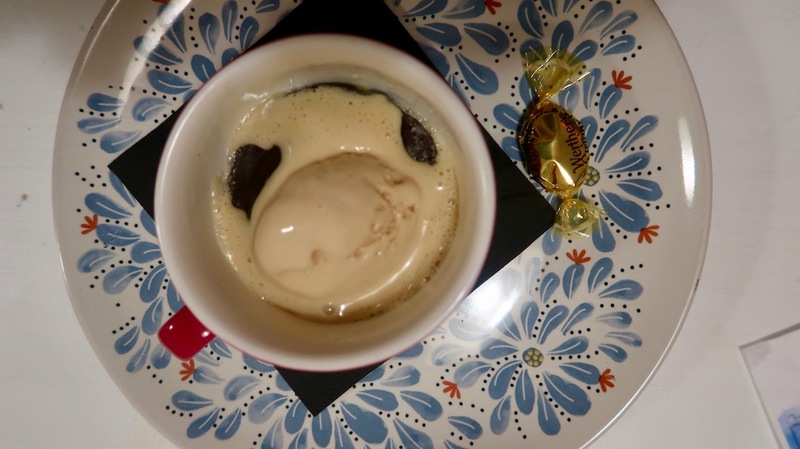 Pudding was described as ‘the Best F***ing Chocolate Pudding’, it was pretty legendary, a perfectly gooey mix of salted peanut caramel in a chocolate fondant served with ice cream and a Reese’s Biscuit. And of course, this was all washed done with a plentiful supply of crisp white wine. But no supper at TLBD is without a game or two. In our case, each table was asked to write and present a poem. I am proud to say that our table won….our prize, of course, was a round of shots. So you begin to see the way the evening is going! But what goes on behind the Little Blue Door stays behind the Little Blue Door – so you’ll just have to go and find out for yourself.